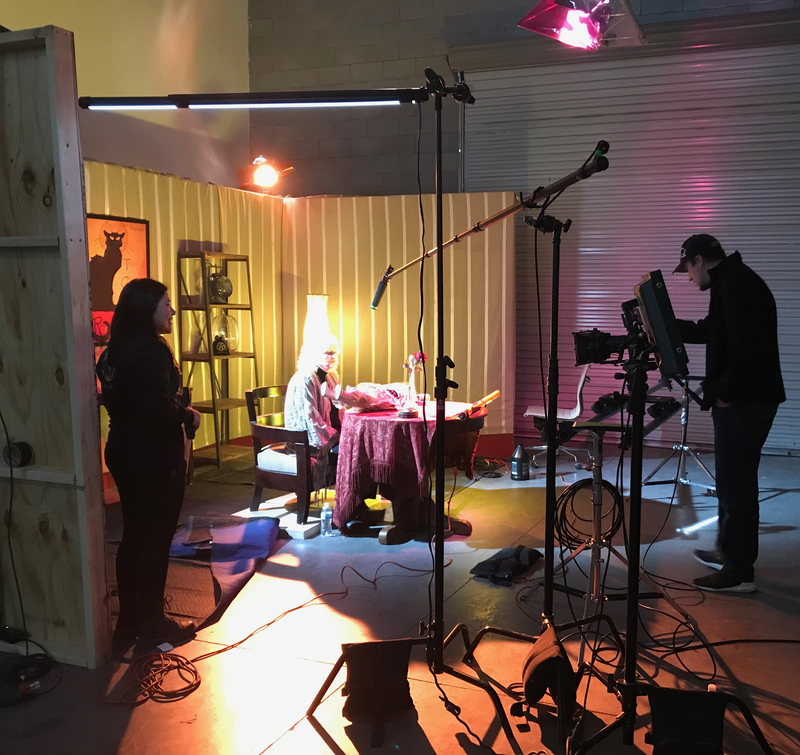 Quantum Arc Media offers two studios, post-production suites, and diverse meeting spaces. 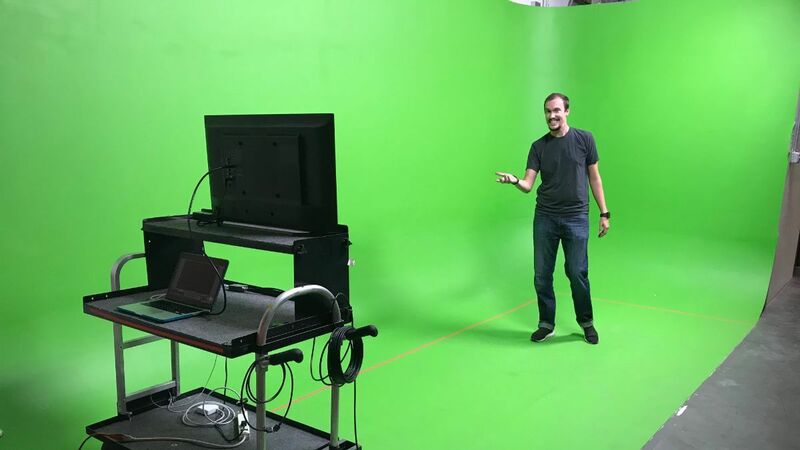 Studio A is an 1800sq/ft (30ftx60ft) industrial space complete with a pre-lit 10x18ft seamless green screen cyc wall (with the option to expand). The space is suited for custom sets and lights can be hung above from the ceiling. Load in/out is easy with a 12x12ft garage door. A green room is located within Studio A and is complete with a microwave, mini-fridge, lounge space, and make-up table. Studio B is a sound dampened 10x14 room equipped with a live-switch recording system and a three- 4k camera set up. 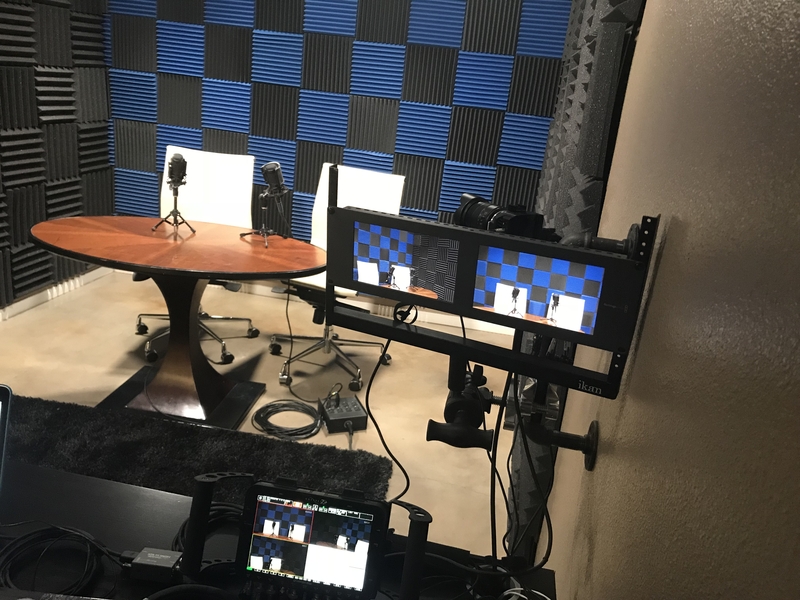 This space is designed specifically to be able to create quick content such as video or audio podcasts, promotional business videos, instructional videos, and ADR sessions. The Post-Production suite can be rented out for editing, coloring, VFX or dailies using the huge 110” screen and projector. The suite also offers a comfortable couch for clients so they may sit in on editing sessions. The room has been designed to meet the highest demands for quality, comfort and speed. In Studio A we have filmed green screen content using our cyc wall and have had photo shoots in the space. We've also filmed a pitch television series which required a set to be built (there is a photo above!). In Studio B we've filmed many podcast episodes, promotional clips, and completed ADR for films in post-production. The Nevada Film Office is not involved with final approval and/or permission to use a location for a production. Location fees, production shooting restrictions, rules and requirements are negotiated between the production and location management. The information provided above is for the sole purpose of research by website visitors. Images and text may be copyrighted by individuals and cannot be used or reproduced without permission. No explicit permission is granted for website visitors to reproduce the content published on this web page outside the sole purpose of research. If you would like more information about a filming location, you can fill out the "Request More Info" form below or call (702) 486-2711. You can also visit our production directory if you would like to hire a location manager or location scout for further assistance. You can also find additional location support services in our online production directory. If you would like more information about this property, please fill out the following form.